There are times when you want certain information on your computer protected from prying eyes. One way to protect your information is to encrypt your home directory. However, that does not protect your information when you are logged on to your computer. I've shown in the past how you can use Cryptkeeper to create an encrypted folder on your system. Cryptkeeper is a graphical front end to encfs. encfs allows you to create an encrypted folder and then mount it as a user filesystem using FUSE. In this tutorial I'll show how to use encfs from the command line to create and manage an encrypted folder on Linux. Once encfs is installed on your system, you can create an encrypted folder in your home directory. In this example, I'm going to create an encrypted folder called tuxtweaks. This will be done from a terminal window. You will need to provide full path names when creating a new folder. You can use standard shortcuts though, as I will show. If you want the strongest encryption, enter 'p' at the prompt. Otherwise, just hit [Enter] and your new encrypted folder will be created with the standard options. After that you'll see several messages listing the parameters of your new encrypted volume along with some warnings, and then a prompt to create a password for encryption. Make sure to use a password you will remember because there is no password recovery mechanism. After entering and verifying your password, the new folder will be created and mounted, ready to use. With your new encrypted folder mounted, you can use it just like any other folder on your system with the exception that hard links will not work if you set it up in paranoia mode. I expect this won't be an issue for most users. Let's go ahead and create a simple text file in the new folder to test it out. Using the terminal or the file manager, you can see that you now have a new file called test.txt in the tuxtweaks folder. Upon opening this file you can see that it is a perfectly readable text file. Now navigate to your ~/.tuxtweaks folder. This is the encrypted version of your folder. You can see that the file names don't match and if you try to view the contents of the files you'll find that they are scrambled. Once you are done accessing or creating data in your encrypted folder, it's best to unmount it so that your information is safely hidden away. encfs doesn't have its own command to do this. Since it created a user file system it takes advantage of the FUSE packages to handle unmounting. We'll use the fusermount command to unmount our encrypted folder. Navigating your home directory you can see that the tuxtweaks directory is still there. If you enter that folder though you'll find that it is empty. The next time you want to access your encrypted data, you'll need to mount it again to decrypt it. You can just use the same command you used to create the folder in the first place. 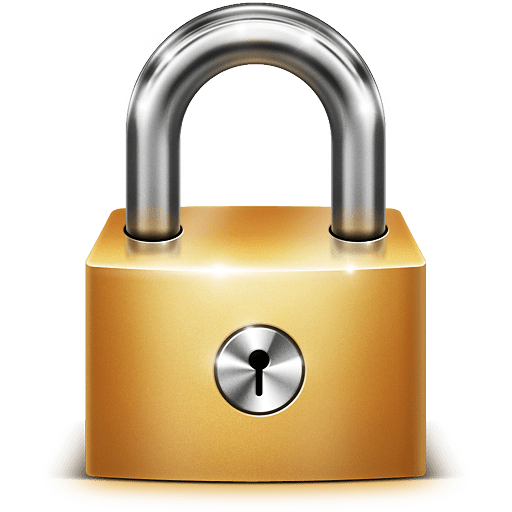 I find that using encfs encrypted folders is a handy way to securely store financial information such as tax returns as well as for storing lists of log-in credentials. This way I only need to remember the password for my encrypted folder, then I can access my list of other log-in ID's and passwords. What will you use encfs for? Let me know in the comments. Fighting corruption in the civil administration. Don't want them to be able to connect me to the perfectly legal letters and other documents that I will be sending to various powerful people, telling them to do their damn jobs. I was encrypted folder, then I deleted the file in hidden Home .encfs by mistake. Now I cannot find the folder and can't mount the folder again. Could you help please? Unfortunately I cannot find either encfs or cryptkeeper in the linux mint 17 repositories. It was in Linux mint 16.